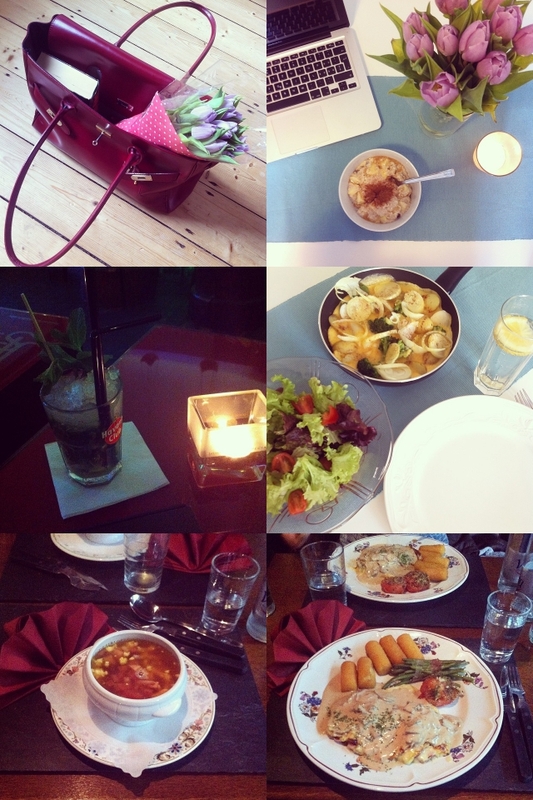 Theme: nice food and drinks! As it should be! Love your instagram photos! It looks like it was a yummy week and those purple flowers are so gorgeous in your beautiful bag! Bag looks gorgeous. Food looks delicious. Have a wonderful week. That tote is so sharp! Yummy food! Your photos are delicious Carmen !